Johnston County Sports Council meeting schedule. 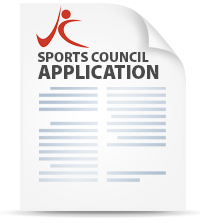 The following schedule is for the Fiscal Year 2018-19 for the Sports Council, which meets the third Wednesday of the month, every other month beginning in July of each year. The meetings are held at 12N at the meeting room at the Visitors Bureau offices, at 234 Venture Drive, Smithfield.